Today I had the pleasure of sitting down with Dominican singer-songwriter, Sharin, who made her live debut in Los Angeles this past Tuesday. How did this journey begin for you? Did you always know you wanted to pursue music as a career? Music was always the plan. I didn’t take it very seriously until I was about 12, but I always sang from a young age. I started playing piano when I was 6, began writing my own songs when I was 9, and was singing in the church all the time. When Selena died it really made me want to pursue music because it hit me so hard – she was a huge influence in my life. I started to sing a lot more in church and to sing more of my idols’ songs as practice. At school I was always doing the National Anthems and then I went to a college in Kansas on a vocal scholarship, but it wasn’t a good fit, so after a year I moved to Miami to really focus on my career in music. In Miami I was doing it all: modeling, the Miss Universe/Miss Florida pageant, contacting label people, I became good friends with an A&R at Sony… But three months later, I was diagnosed with cancer and had to stop everything. You’re very open with your battle with stage 4 Non Hodgkin’s Lymphoma cancer. How has this experience shaped you and your music? I don’t think a person so young who has never had any health problems would ever think they would have cancer, which for me was essentially a death sentence. I was in a really bad state because I was stubborn and didn’t want to go to the doctor. They said if I had waited another week I wouldn’t be here today. Music is what kept me going because I kept feeling like it wasn’t my time yet. My battle with cancer has given me purpose more than anything. I think I now have a good sense of life in terms of how fragile it is, and have gained a deep understanding for people who suffer and feel alone, and feel pain. As far as music goes, when I get on that stage it’s just full passion – I just want to communicate, I want people to be moved constantly. That’s my goal. You’ve spent time all over the country – Tampa, Boston (Berklee College of Music), Miami, and now LA – how have these experiences inspired you? It’s amazing, I’ve always lived on the East Coast. I have a good sense of what Miami, Boston, and NYC are like. Being on the West Coast now I don’t have as many connections, so it’s super inspiring. To know the major cities in the country is an honor and a privilege. The mountains, the sunlight – California definitely inspires me. How has the past year in LA changed your career and your outlook on your future in the music industry? Before, I was a door away from my audience and my market, now I’m directly at the source. I’ve met so many encouraging people. It’s very young out here, and I love that. It’s very creatively driven – which is different than the East Coast. In LA you’ll run across people trying to do acting, trying to write, dance, trying to do music, it’s very creative more than anything. What is the impact you hope to have on the music industry? I hope to be the first female Latin voice that does really good quality pop music but plays guitar, plays piano, composes her own songs… I want to be the first Latin woman to do that in a soulful way. What advice would you give to other people following their dreams, specifically in music? Education is key. They need to be educated – on the business, on their craft. At the end of the day, this is a business and it’s a very serious one, and no one will take you seriously if you don’t take yourself seriously. No one has your back, only you, and knowledge is everything. What is next for Sharin? Eventually, I’d like to be touring internationally, to collaborate with great artists that I admire, and to start my own label. I love discovering new talent and helping them grow. I’d especially like to do that in the Dominican Republic. There’s a lot of talent out there and not enough help. I’d like to help the talent be educated and not be stuck in the old business model that can be very exploitative over there. My immediate goal is to create a stronger internet presence and stronger fan base so I can really penetrate my market and the people that appreciate my style of music. I want to continue to make my social media presence stable and constant so people have a sense of expectancy from me. 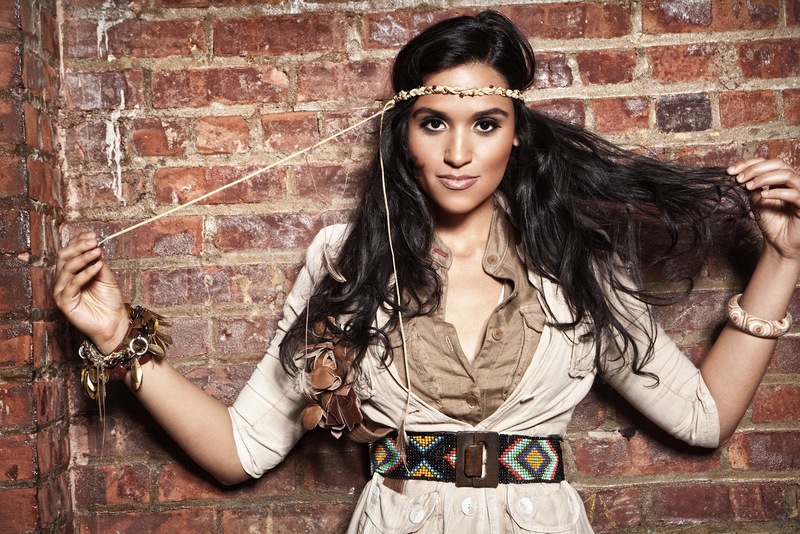 To learn more about Sharin and to hear her newly released EP “Quiero”, head to www.sharinmusic.com. Latin singer-songwriter Sharin hit the LA stage for the first time on Tuesday night, lighting up The Mint with her irresistible charm and heartwarming music. Sharin, who moved to LA less than a year ago, has lived all over the country, starting in Tampa, FL, where she was born and raised and first fell in love with music. By the age of 9, she was composing her own pieces using a variety of instruments. The Berklee graduate brought an acoustic guitar with her to the stage for this performance, a show that was originally meant to be a full band experience, but due to unforeseen circumstances, became a one-woman presentation. Sharin handled the situation with grace and sang her original music in not one, but three languages during her set at The Mint. 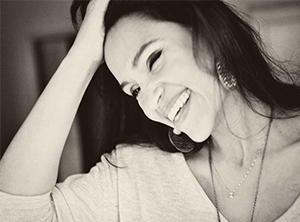 From her opening number “Over You” to her Spanish hit “Sin Ti” to the Portuguese rendition of the title track of her newly released EP “Quiero”, Sharin was able to captivate the audience regardless of the language in which she sang. This ability to draw in a primarily English-speaking audience reflects on her unique capabilities as a songwriter and as a performer. When watching Sharin, it is evident that her love for music runs deep, and has been influenced by the ups and downs she has experienced in her life. From attending one of the most rigorous musical programs in the world to battling stage 4 Non Hodgkins Lymphoma cancer, Sharin has landed in LA with the determination to share her love for life and music with the world. We wish her all the best in doing so. Zane Carney made his triumphant return to the Hotel Cafe in Hollywood this past Monday, jump starting his Monday night residency at the famous venue for the month of August. Carney, having moved back to Los Angeles after an Australian tour as guitarist for John Mayer, shattered all expectations for his return show, and set the bar high for the Monday night shows to follow this month. Carney’s familiarity with the stage brought the audience into the immediate comfort of his confidence and capability as a performer. The NYC native started the night with an original piece entitled “Talk To Me Baby”, the second track off his recently released solo album, Confluence. Carney’s electric guitar blues and smokey rock vocals were captivating separately, and together made for a powerful combination that the crowd could not resist. The song elicited tremendous applause from the audience, who were in turn rewarded with an acoustic version of “Driving in Circles”. Carney explained that he intended this residency to be more improvised and based on his mood, as opposed to the manicured situations he had been a part of in the past. There were no complaints to this tactic, which proved incredibly effective in reeling the audience even further in as the night progressed. Carney kept the audience on their toes with his rendition of “Cry Me a River” which transitioned into a new take on his guitar piece “Good Old Roy” from his jazz guitar release, Amalgam, which featured trumpeter John Daversa on the melody Monday night. Daversa was just the first in a long line of impressive special guests to grace the stage that night, a tradition Carney looks forward to upholding throughout his August residency at Hotel Cafe. Carney’s willingness to share the stage was a great reminder that although the music industry is a competitive sphere, the power of music is in the collaboration and community that music can bring together. The special guests Monday night included siblings Reeve Carney and Paris Carney, and soul sensations Sir Charles Jones and Nikka Costa. In the past year in Los Angeles, I have rarely seen the Hotel Cafe so alive, and I look forward to the surprises Carney has in store for the rest of his summer residency. The singer-songwriter has promised to write a new song weekly for his performances, as well as deliver new special guests for each show. This is a residency you will undoubtedly want to experience for yourself. Experience Zane Carney every Monday night at 8pm at Hotel Cafe in Hollywood for the month of August. 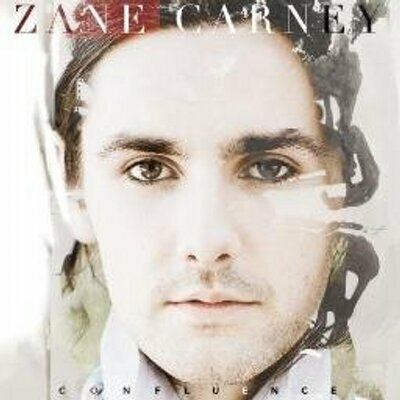 You can hear Carney’s jazz guitar album Amalgam and his debut solo album Confluence at www.zanecarney.com.